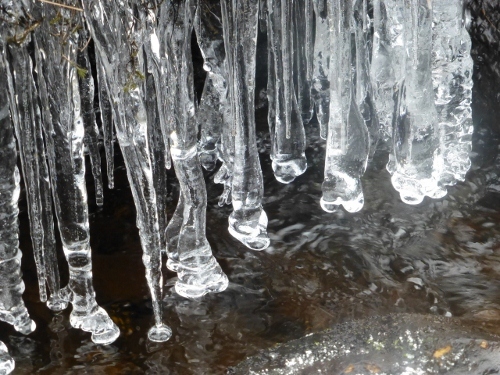 Some really beautiful ice formations around a beck on the moors yesterday. 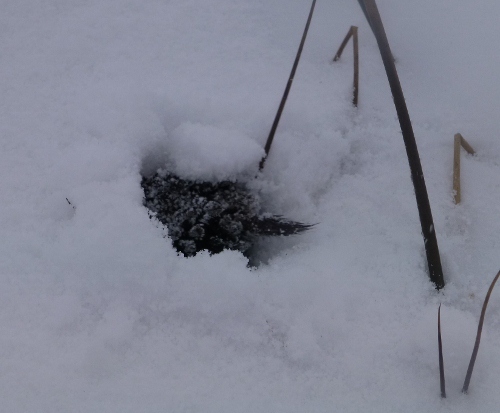 Mole in snow 1380 feet above sea level! 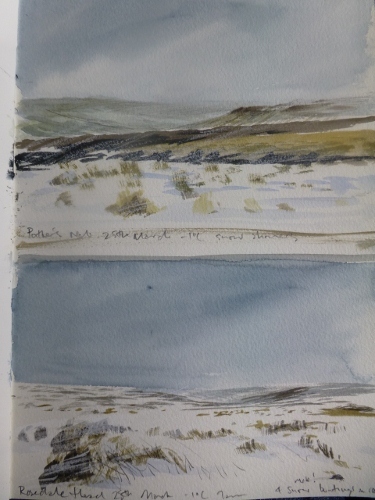 Whilst sketching in somewhat adverse conditions, minus 2c with 45mph gusts I suddenly noticed a creature appear from the snow, crawl several metres then stop. 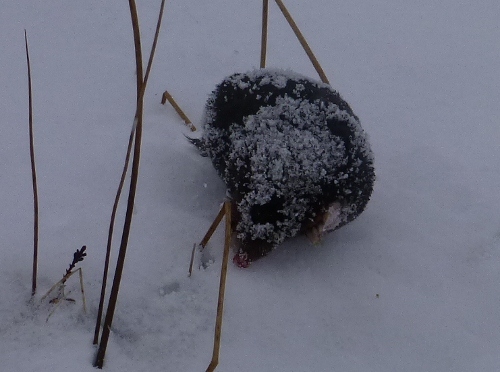 It was a mole, covered in a layer of crusty ice. Casually the mole dug back down through the snow and was gone. 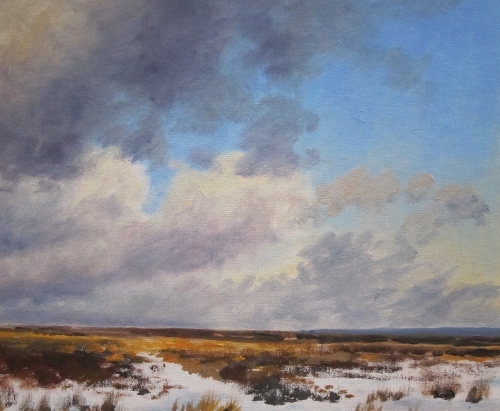 A wonderful morning on the moors in the snow. Four snow buntings seen near the Lion Inn, Blakey. Almost continuous snow showers. 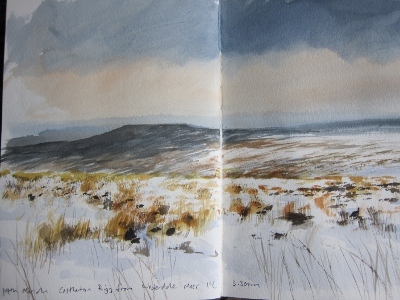 Here are a couple of sketches of Red Grouse in their snowy habitat on Westerdale moor yesterday. 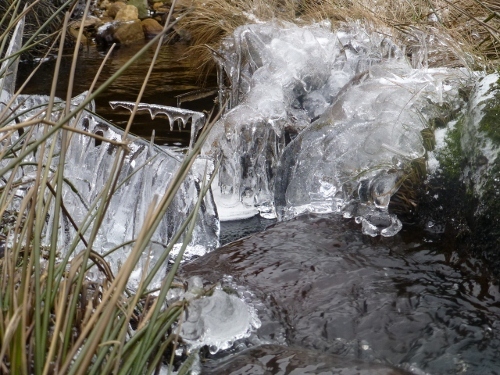 I am in my element at the moment with snow today and more forecast for the weekend. 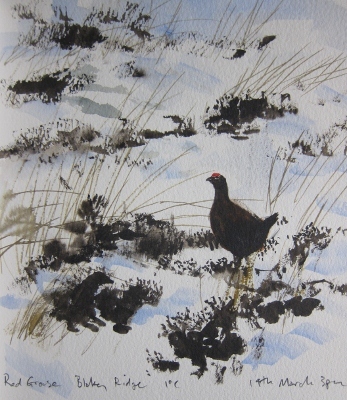 Yes I look forward to some warmer weather but the current conditions create some wonderful sketching opportunites and I am constantly struck by the tenacity of Red Grouse as they survive the harsh conditions. 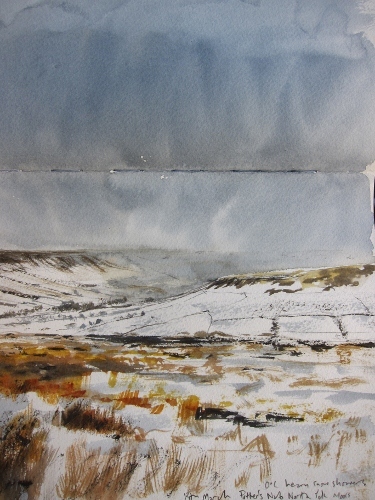 We have had a really snowy winter in this part of North Yorkshire. This has extended well into March. 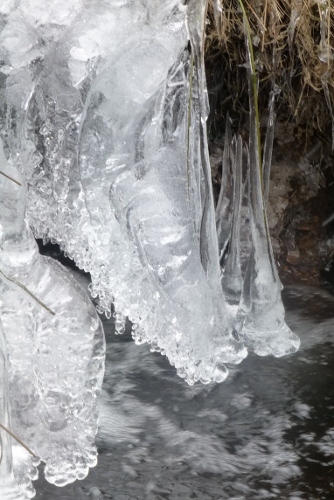 Last week saw some very heavy snow showers and impressive low temperatures. 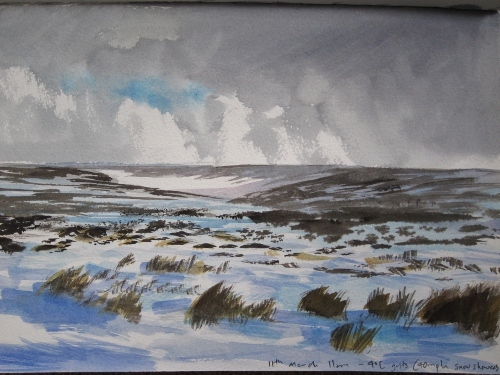 On March 11th I went to Rosedale Head where at 11am the temperature was still minus 4 celsius with the wind gusting to nearly 50mph and yet the March sun was high in the sky. 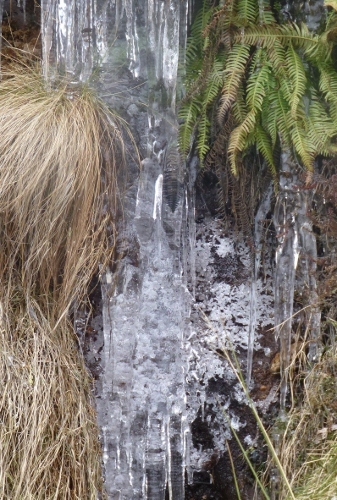 On the moors it felt like mid winter and even at low levels the temperature struggled to climb above freezing with snow lying in shaded areas throughout the day. 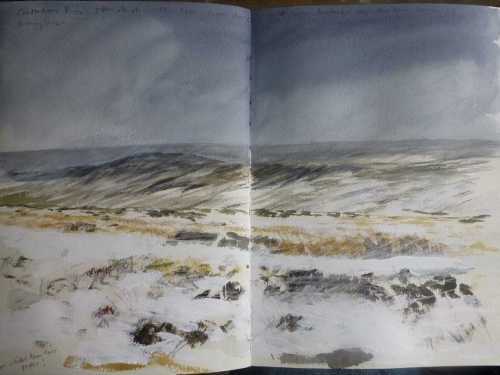 A great time to be out with my sketchbook- I love painting snow.